Democratic Rep. Dan Lipinski (Ill.) said that "Democrats have chased people out of the party" in response to an aggressive and progressive primary challenge due to his pro-life stance and other conservative-leaning positions. Lipinski is being targeted by liberals who are frustrated with his opposition to abortion and that he is one of three Democrats still in office who voted against the Affordable Care Act, also known as Obamacare. Lipinski has frequently warned about a "tea party of the Left" forming as a mirror to the Republican Tea Party wave in 2010. Fellow Illinois Democratic Reps. Luis Gutierrez and Jan Schacowsky have endorsed his primary challenger, businesswoman Marie Newman. He also does not enjoy the support of the Democratic Congressional Campaign Committee, an unusual rebuke for a sitting congressman. "This is part of the reason Donald Trump won," Lipinski said in an interview with the New York Times. "Democrats have chased people out of the party." 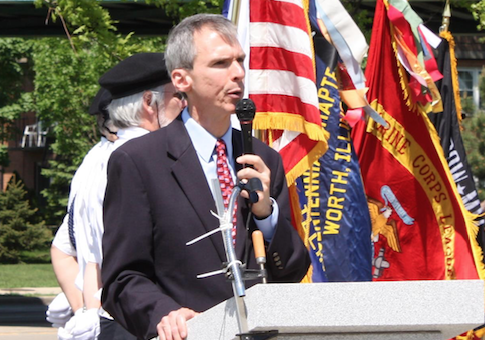 Lipinski, a member of the more moderate and rapidly shrinking Democratic Blue Dog Coalition, has called Newman's embrace of abortion rights too extreme for his district. The debate over whether pro-life Democrats can have a home in the party has raged over the past year, with mixed messages coming from Democratic National Committee chair Tom Perez. House Minority Leader Nancy Pelosi (D., Calif.) told reporters last week she supported Lipinski's reelection bid. One of Newman's supporters, teacher Elizabeth Layden, told the New York Times she was determined to see him unseated and to "get out of my uterus." "Because he’s a dinosaur, ’cause he’s a phony, ’cause he’s a Republican who claims to be a Democrat," she said. "Hello, women’s rights, and hello, my reproductive rights. Get out of my uterus." This entry was posted in Issues and tagged Abortion, Illinois. Bookmark the permalink.